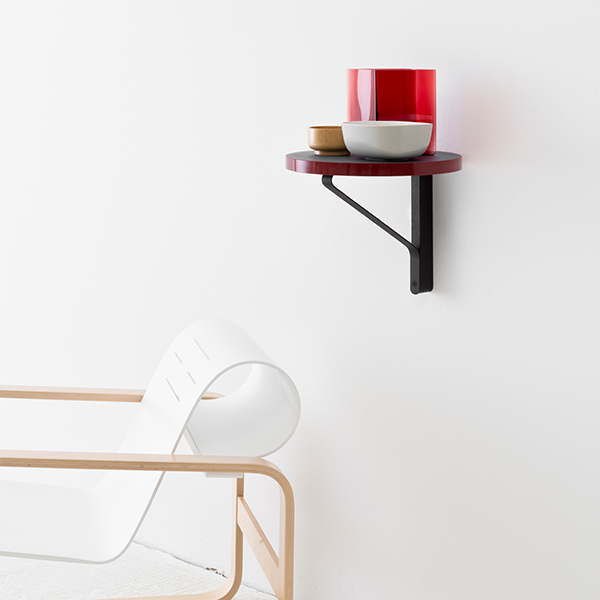 Artek’s REB 007 Kaari shelf features a red linoleum panel with a black ABS edge. Its diameter is 35 cm and thickness 2,4 cm. 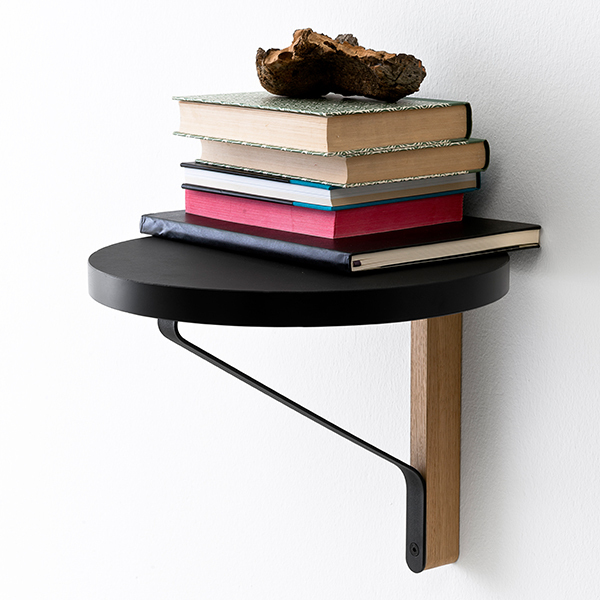 The wall bracket is made of black powder coated steel and solid black stained oak with a protective varnish. 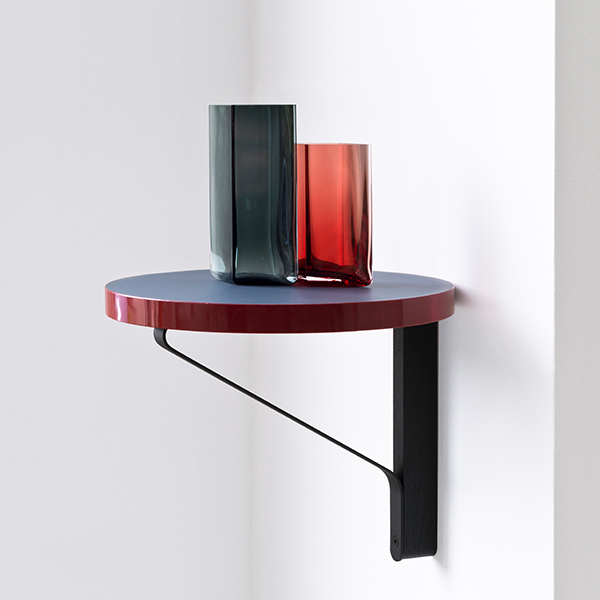 The elegant Kaari collection was designed by Ronan and Erwan Bouroullec and launched at Stockholm Furniture Fair in 2015. As Alvar Aalto’s furniture was characterized by the L-leg, the Bouroullecs’ Kaari tables feature a unique leg system composed of vertical wood and bent steel. It became obvious during the design process that the legs could also be used to support wall-mounted objects such as shelves and consoles. 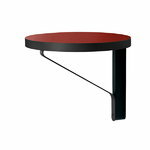 The series has an attractive silhouette, created by the wing-shaped steel structure. 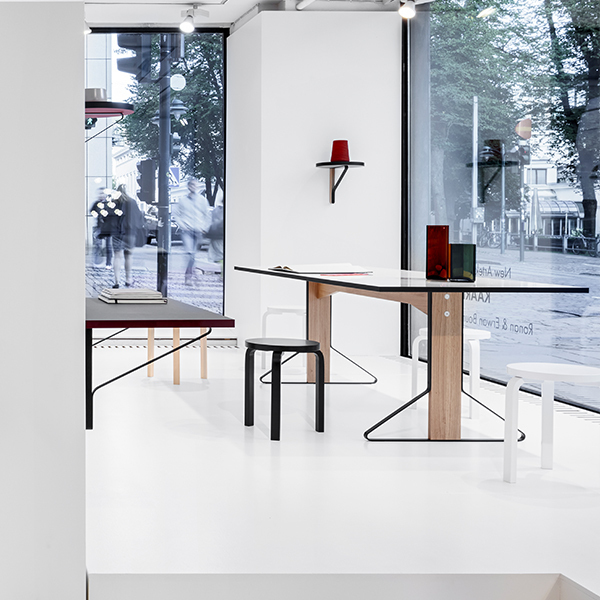 Kaari combines the traditional materials of Artek in a new and fresh way. Invest in a future classic and preserve it for generations to come.